Celebrating Over 35 Years of Positive Social Change! To promote and improve the social, economic, and educational welfare of the citizens of Tillery and the surrounding community area through the self-development of its members. Concerned Citizens of Tillery envisions and empowered, sustainable community that builds on our natural, historic and cultural resources to promote economic independence, a healthy and environmentally sound life, the development of heritage and agricultural tourism that honors and celebrates the spirit and fortitude of Tillery and an enhanced quality of life through our own outside participation in conferences, retreats, seminars and other educational activities. 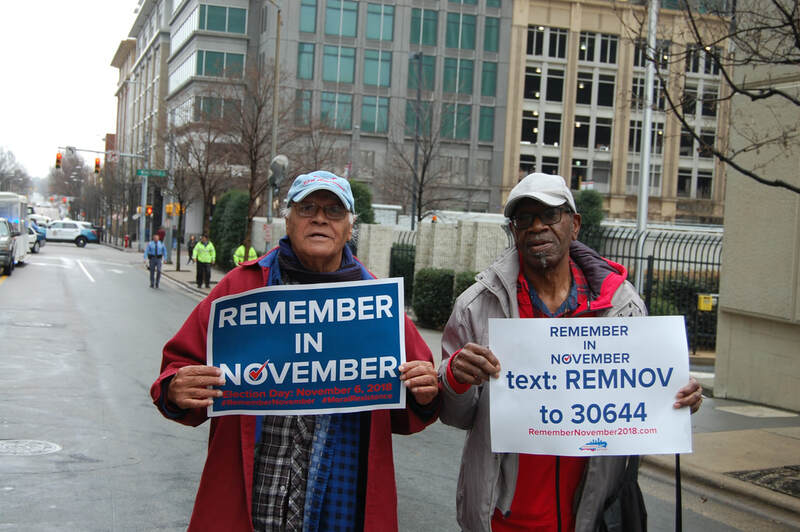 Gary R. Grant, CCT Executive Director and CCT member Regional "Reggie" Pender made the HKonJ March. Yep! There was rain, but the march went on.